Amalgam is the material used in silver, or metal, fillings. One half is liquid mercury, and the other half is a mixture of tin, silver, and copper. The result is a silver or gray spot on the tooth-- a mark that stands out against the tooth enamel. While the material has been approved for use in dentistry by the FDA, many patients are concerned with the use of mercury in their dental restorations. At Chaska Dental Center, we do not use amalgam in restorative dental care, and we haven’t since 1997. 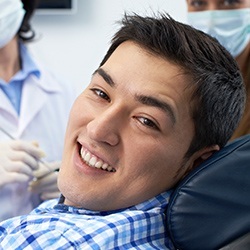 We practice amalgam free dentistry, which means we use tooth-colored fillings instead. This method uses white composite resin to restore teeth following decay. The composite resin is a biocompatible material made up of a mixture of smooth plastic and glass particles. Is It Necessary to Replace My Silver Fillings? 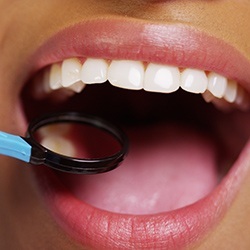 Many patients are interested in having their silver fillings replaced with tooth-colored fillings. If you are not experiencing problems with your amalgam fillings, it is not necessary to have them replaced. Replacement may, however, prevent future issues. It ultimately depends on how proactive you wish to be. 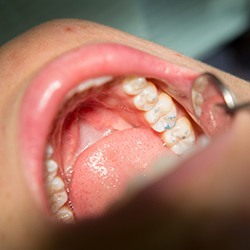 Silver fillings can present problems later on, like making it difficult for your dentist to detect a leak or break of the filling -- even on x-rays. When this occurs, decay may advance without notice, eventually causing pain and requiring more significant treatment like a root canal or tooth extraction. 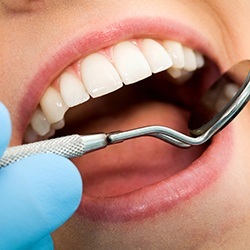 Additionally, patients may choose to have their fillings replaced to prevent the risk of mercury exposure. Filling replacement is a simple procedure that can potentially prevent more significant problems later on. The decision on whether or not to switch your non-problematic silver fillings for tooth-colored ones is ultimately up to you and your dentist. If you would like to discuss amalgam-free dentistry, don’t hesitate to get in touch with your dentist in Chaska. Dr. Meschke and Dr. Swingdorf provide the biocompatible dental care you and your loved ones deserve. Contact us to schedule an appointment today!